A good rub should enhance the flavor of the meat without overpowering it. To do this it takes attention to each ingredient and the amount used to strike a balance between the flavors. 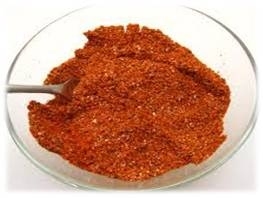 This chicken rub is crafted to bring out a spicy and robust flavor when smoking the chicken low and slow. Since there is nothing more frustrating than recipes that call for spices that can only be found in specialty markets, this rub is designed with common household spice ingredients only. This recipe should be seen as a base and can be tweaked depending on your liking. For instance, if you like a little more kick to your chicken, feel free to add a little more chili powder and cayenne to give it some heat. It can be simply made by combining all of the ingredients in a large mixing bowl. It can also easily be combined with a ¼ to a ½ cup of olive oil if you want to turn it into a paste so it will stick to your chicken. Rub it on any cut of chicken from wings, breasts, thighs or legs.